Welcome to St. Louis Cemetery No. 1, one of the most popular and most respected burial grounds in the city, the burial ground of the most illustrious citizens of New Orleans past and present. Located in the heart of the Treme Neighborhood near the French Quarter and placed on the National Register of Historic Places, this 1789 cemetery is the oldest existing cemetery in New Orleans and is still the site of several burials per year. While here you will see the Oven Wall Vaults, the graves of Daniel Clarke, Paul Morphy, and Etienne De Bine, and even the supposed final resting place of Voodoo Queen Marie Laveau, not to mention all the magnificent tombs of French, Italian, Portuguese, and Spanish societies from the 18th and 19th centuries. 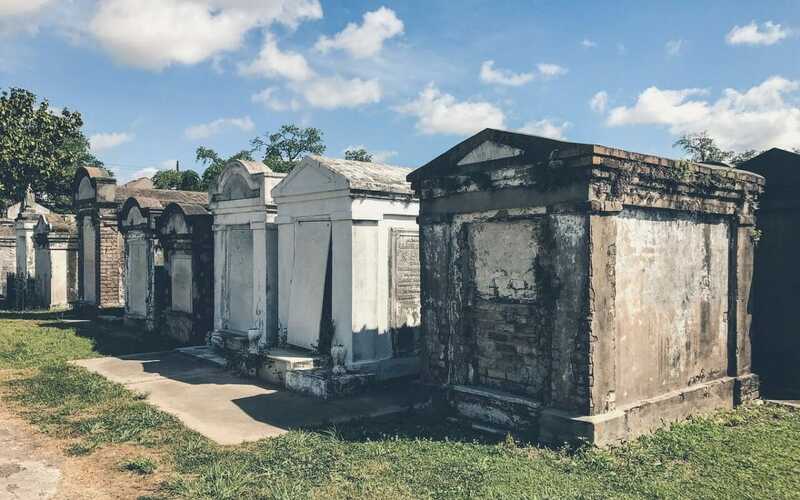 This cemetery’s name comes from the collection of Roman Catholic cemeteries in New Orleans that each contains above-ground vaults, decadent architecture, and hugely rich histories. In the past, this cemetery in particular held different sections for Catholics, non-Catholics, and slaves, and also was quite prone to flooding having such a close proximity to a local swamp. Though the archdiocese has banned it since then, this scenery was once used for the filming of Cincinnati Kid and Easy Rider. Today the new rules state that visitors must be accompanied by legal group tour givers, limiting entrance to the burial ground to family members of the interred or regular tour groups. 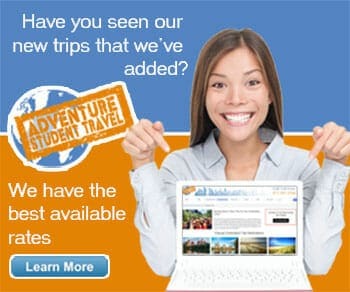 Your group can typically find one of these tours for around 10-20 dollars per person, with reasonable group discounts for larger school groups. Be sure to wear comfortable walking shoes and respect the dead while here, you never know when the history of voodoo can come back to you!